Google has just released its ‘Catalogs’ app for both iPad and Android Tablets which allows users to browse and interact with catalogs to shop without the need to physically walk to the respective stores. – Catalogs for everyone: Apparel & fashion for men, women, and children; beauty; jewelry; home goods; gifts; and more to come! 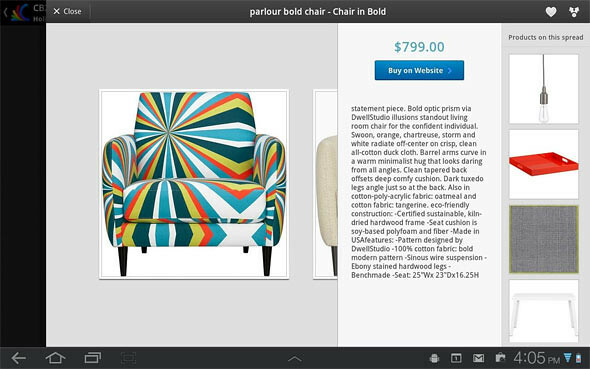 – Rich media: View products up close, tap tags for price and details, view additional product photos and videos. – Easy purchasing: A single tap lets you find a product nearby or visit a merchant’s website to make a purchase. – Get notified of new issues: Favorite the catalogs you love and get notified when new issues arrive. – Get creative: Create collages of products you’ve saved from different catalogs. View other collages for inspiration. – Share with friends: Email a product or collage to your friends. The app offers different catalog categories like women’s fashion, jewelry, beauty, home, men’s fashion, gift, toys, and more. 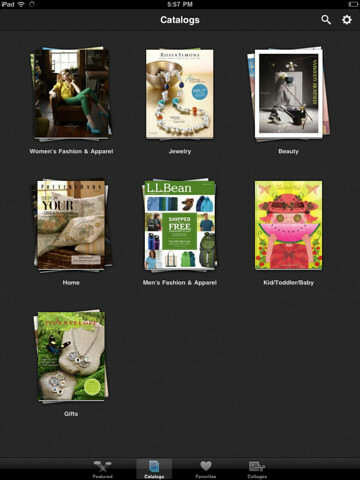 Each category offers several different catalogs to choose from. Google Catalogs is free so there really isn’t any excuse not to go download it for your tablets. 5 Responses to "Shop All Your Favorite Catalogs On iPad & Android Tablets With Google Catalogs [video]"
Wow,That’s great news.These Catalogs apps are really fantastic.I really like the concept of this post and I feel that this is a very unique and rare information that you have managed to compile.You have done a great job by sharing this post with us.I like this post.Keep sharing with us in future too. Nice written article.I am really impressed with your written article.Thanks for sharing such excellent article with us. Very impressive article regarding word press of IT.Really impressive and smart post.Thanks for sharing. One of the best blogs I’ve read. I’ve recommended this blog to some of my colleagues. I’m sure they’ll find this useful as I found.Will definitely recommend to others. Good work.